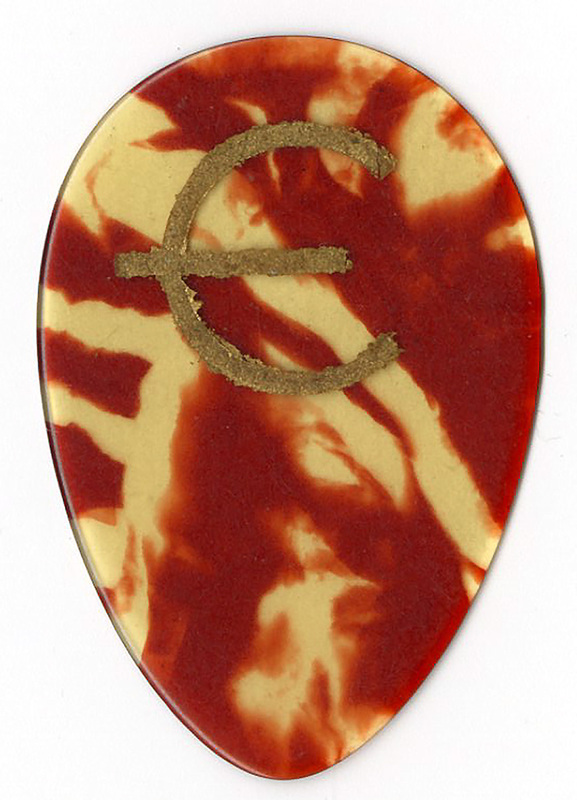 John Lennon's personally owned and used Epiphone guitar pick. Lennon gave the pick to famed guitar designer Steve Carr when Carr was working for Ronnie D'Marino at this vintage music show in New York City. Carr worked on many projects with John as well as with Yoko Ono when she hired him to work on a blond Epiphone guitar that John played. Lennon gave him this pick one day when he was in the shop. Very good condition. Comes with a letter of provenance and certification from Steve Carr and a Gotta Have Rock & Roll™ Certificate of Authenticity.